Part BBa_K2656014 is the monomeric Red Fluorescent Protein 1 coding sequence BBa_E1010 adapted into the Golden Braid assembly method. Thus, this sequence is both compatible with the BioBrick and GoldenBraid 3.0. grammar. This coding sequence can be combined with other Golden Braid compatible parts from our Valencia UPV IGEM 2018 Printeria Collection to assemble transcriptional units in a one-step BsaI reaction with the Golden Gate assembly protocol. In order to carry out a correct characterization of the protein and to be able to use it to make measurements of the different transcriptional units that we assembled with it, we obtained the emission and excitation spectra in the conditions of our equipment. By using this protocol  with the parameters of Table 1, Figure 1 was obtained. iGEM11_Uppsala-Sweden: Expression of chromoproteins. The images above show E coli No part name specified with partinfo tag. expressing amilCP BBa_K592009 (blue), amilGFP BBa_K592010 (yellow) and RFP BBa_E1010 (red). Peking iGEM 2016 has fused this part with triple spytag. The fused protein is participate in Peking’s polymer network. By adding this protein, the whole polymer network become visible in most conditions. If you want to learn more about Peking’s polymer network and the role of mRFP in this network, please click here http://parts.igem.org/Part:BBa_K1989004". For the biobrick part, BBa_E1010, there was a 27.6% of identity match and 56.9% of similarity match compared to the allergen database. This means that the biobrick part is not of potential allergen status. In the 80 amino acid alignments by FASTA, no matches found that are greater than 35% for this biobrick. >Internal Priming Screening Characterization of BBa_E1010: Has no possible internal priming sites between this BioBrick part and the VF2 or the VR primer. 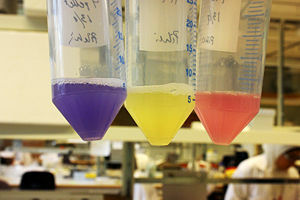 Summary: We measured the fluorescent signal of mRFP in buffers with different pH. 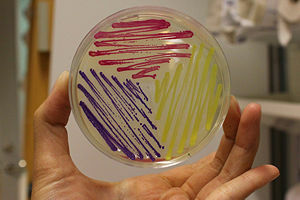 We grew C41 bacteria with parts BBa_J61002 in 2XYT for 24 hours. After purifying the mRFP by Ion Exchange Chromatography and Hydrophobic Interaction Chromatography, we measured the fluoresece (ex ,em ) of purified mRFP, which is diluted to 10µg/100µl (total 200µl) in triplicates, into different buffers (ranges from pH2 to pH12; Volume of mRFP:buffer = 1:1.8). To facilitate reproducibility of the experiment, we correlated the relative fluorescent intensity to an absolute fluorophore concentration by referring it to a standard curve of the fluorophores(Rhodamine) using the interlab study protocol. The result shows that the stability drops dramatically in pH condition below 6 and relatively stable in pH 6-10. 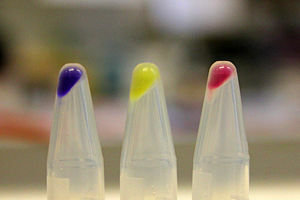 Fig.1 Vary pH attributed to different fluorescent intensity of RFP. Summary: We add a His Tag at the end. Therefore, a fusion protein with this part may have red color and the ability to be purified easily. The BioBrick-AutoAnnotator was created by TU-Munich 2013 iGEM team. For more information please see the documentation. If you have any questions, comments or suggestions, please leave us a comment.